DeSoto ISD is striving to increase every student’s reading comprehension level and vocabulary – both strong indicators of academic success. This summer the district continues the DeSoto ISD READ NOW! campaign encouraging students to read for 40 minutes every day! Students and parents are invited to the summer challenge kickoff on Thursday, June 9 from 9-11 a.m. at Woodridge Elementary, 1001 Woodridge Blvd. Stop by Woodridge for fun, games, prizes and sign up for the Summer Reading Challenge for your grade. The top reader each week – June 13 through July 29 (7 weeks) in each grade group – Gr. K-2, Gr. 3-5, Gr. 6-8, Gr. 9-12 will win awesome prizes – ear buds, movie passes, restaurant gift cards, Beats by Dre, iPad minis,and iPhones are some of the prizes. Some winners will win the use of a digital device for the whole year! High school students are challenged to “Give Me 40” minutes of reading every day through Achieve 3000 online. Middle school and elementary students can earn points through Accelerated Reader (AR). Families are encouraged to read together and discuss the books in depth, exploring why a character acted the way they did, or how something came about. 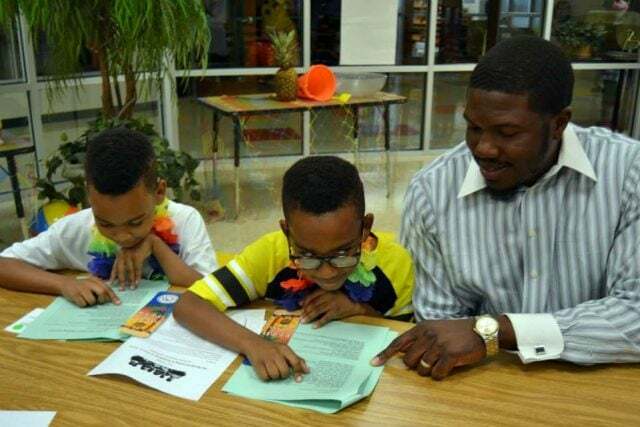 DeSoto ISD offers reading lists by grades so that students are reading at the appropriate level. Reading just 20 minutes per day can increase a student’s vocabulary to 1.8M words per year and result in standardized tests scores in the 90th percentile for reading. After reading books, K-8th Grade students will log in to Accelerated Reader Program and take tests to earn points to make their way on the Summer Leader Board, while 9th-12th Grade students will log in to the Achieve 3000 program to complete reading assignments with at least 75% accuracy. Each week on the DeSoto ISD website, students and parents can click on the Summer Reading Challenge link, to see the top 10 ranking readers in grades K-2nd, 3rd-5th, 6th-8th, and 9th-12th on the leader board. Families needing computer access can visit the following schools during the days and times listed below, or visit the DeSoto Library.